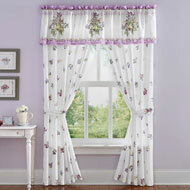 Beautiful Birds Spring Valance Curtain from Collections Etc. 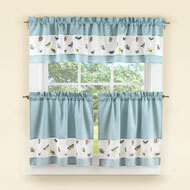 The lovely design of this valance features colorful songbirds perched on branches against a cream background. Bright colors and a charming design make this valance a beautiful way to top a window in your kitchen, bath or anywhere in your home. Intricate cut-work and scalloped edges are the perfect finishing touch. Rod pocket top makes hanging easy. Machine wash Polyester; imported. Measures 15"L x 58 1/2"W.
Perfect for the bird lover! This is beautiful the color of the birds are vibrant in color not dull. I will use this for my window in the bathroom I have a shower curtain just like it. This can also be used in the kitchen . I am very pleased with this item . Highly recommended !!  - cricket, Pa.
Good quality valance set of 6. 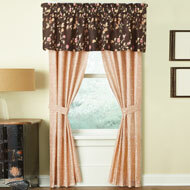 I love this valance it matches my bird shower curtain. The color of the birds are vibrant in color Looks so beautiful at my window pane !! 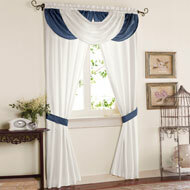 - cricket, Pa.
For Christmas I ordered the Cardinal Valances and everyone loved those as well! - Shar, Chesterton, Ind. Beautiful - Bandit, Chesterfield, Va.
Everytime I order I always like it even more when I see the actual item. I love the all around great picks for my home. Will always be a Collections fan! - Connie, Ionia MI.